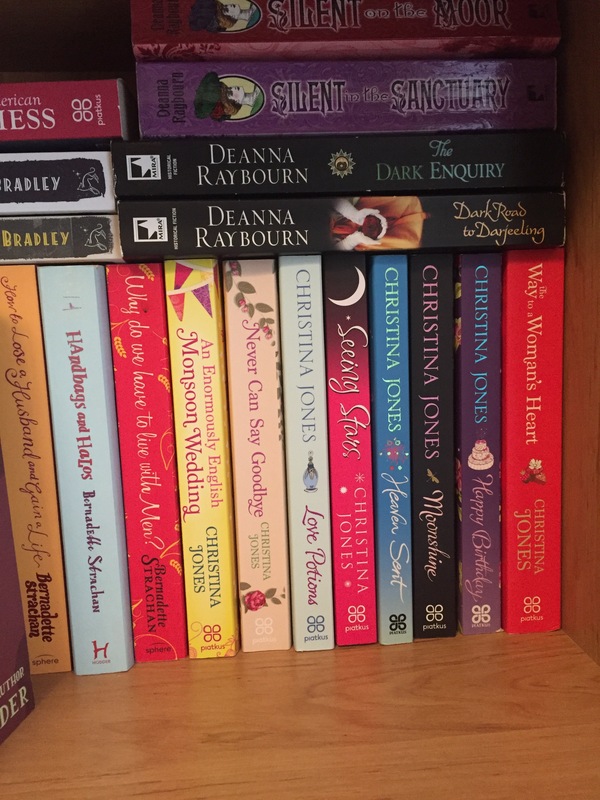 During a trip to The Works this week I happened upon some of Christina Jones’ books that I didn’t own – having borrowed them from the library back in my days in Essex. And then it occurred to me that this might be the time to make another entry in my very occasional series of posts about Authors I love (see previous installments on Katie Fforde and Georgette Heyer) as as far as I can see there’s no new book from her on the way at the moment which I might be able to rave about. 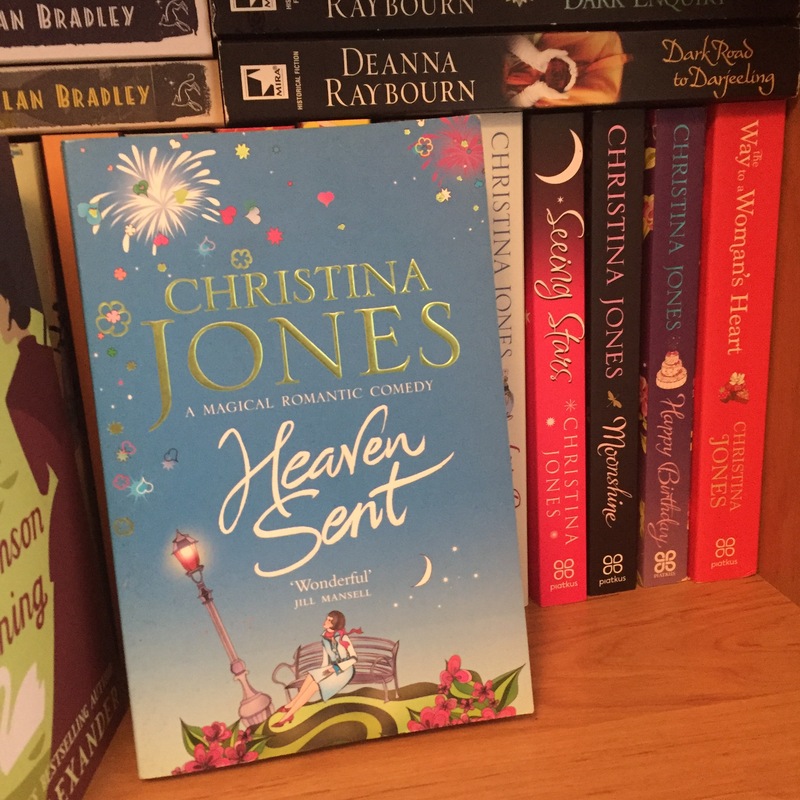 Christina Jones writes wonderfully quirky romantic comedies, usually set in or around the Cotswolds. They have often magical or mystical elements – which is not usually something I go for, but she does it so well – and come in interconnected series – where a secondary character in one book (a best friend for example) will end up being the lead character in the next book. Old characters often make cameos in later books so you get a chance to see what happened in their happily ever afters, without it being a sequel where they face strife and conflict. As I said in my BotW post on Stealing the Show in June last year I first discovered her work when I came across a copy of Heaven Sent in a display of books nominated for the Melissa Nathan Award – as is often the way, it’s still my favourite of her novels, perhaps because I’m a sucker for a dark-haired bloke in eyeliner and Yaya is an absolute hoot. Once I’d read that I started trawling my way through older books via the library – and buying new ones as soon as they came out. I’ve got most of the reissues of her earlier stuff on the kindle – although I haven’t read them all as I’m trying to ration myself in the absence of new books. But basically, these have everything I want in a light romantic fiction book. * The heroines are smart and usually very good at their jobs**, they have supportive friends and find men who celebrate their achievements and love them for who they are without trying to change them. There’s conflict, but it’s often based on misunderstandings rather than someone having done something actually terrible. No one is perfect. And they’re funny – mostly witty funny as opposed to laughing at someone’s humiliation funny, although there are some embarrassing moments in them too. So, if you want to read your way into Christina Jones where should you start? Well each novel stands alone – and as I said at the top of this post, my local branch of The Works had a cache of them at the moment – and they have the same ones online too Love Potions, Seeing Stars, Moonshine and the aforementioned Heaven Sent which are all in their 6-for-£10 promotion (sorry). All of those would be fine places to start to give you a taster – and they’re cheaper there than Amazon or on Kindle. There are few short stories/novellas available on Kindle for quite low prices – but I never think they are a particularly good way of trying a new author (unless they’re free!) because you might be missing background, in jokes, world rules etc, so I would suggest the slightly older-but-recently-reissued Milton St John series, which are available as a bundled set on Kindle for £2.99 at time of writing – I haven’t read all of them yet, but the ones I have are good so that would be a cheap way of dipping your toe in the water. **or at least they are once they get their head around the magical stuff.